I am so excited for this course! 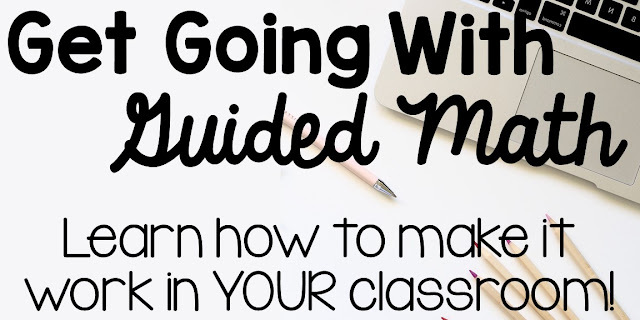 I have gotten many questions over the years about how I run Guided Math in my classroom. A lot of teachers have asked me about different situations they have in their own classroom, how to make Guided Math work with a shorter math block, what do you leave for a sub, and what are the other students busy doing? If you've read some of my other blog posts, you know that I like to keep my groups flexible and have my students be responsible for their own work. Now, I am sharing how I go about doing all of this, with all of you in this FREE course! Grab a cup of coffee and put up your feet! You can easily do this whole course from your phone! It's FREE! Sign up now, and work at your own pace!